These infamous devices of narcissism are a great way to make people mad. Switch your Twitter profile pic to one that's obviously taken with a selfie stick, and then sit back and watch the hive-mind rage pour your way. "Unfollow this guy", they'll tweet. But selfie sticks can be used for a lot more than just taking pictures of self, and they can be as legitimate a photography aid as a tripod or any other mounting device, depending on your photography goals. Firstly, you need to be aware that selfie sticks aren't stable, so any photos you take with them might turn out blurry due to excessive shake. A poorly balanced stick, a too-hard-to-press Bluetooth shutter button, and a bending pole can all be cause for shake. For this reason, a selfie stick needs to be held as stable as possible, your camera should have stabilisation enabled, and you should perhaps use a timer to set off the shot. We used a Soniq selfie stick recently, which is a cheapie from JB Hi-Fi, and it exhibits a lot of the problems that we've talked about. It's not the best quality stick, so it can noticeably bend when you attach a compact camera or heavy-ish phone to its fully extended end. Its grip is hard and uncomfortable to hold, and the Bluetooth shutter button feels too stiff to press. Its handle grip slips, and its screws are difficult to work with. Soniq's selfie stick is far from great. Here it is with a compact camera installed (a Panasonic Lumix TZ70). For better quality sticks, visit a dedicated camera store. Look for a model that's sturdy when extended; look for a soft, thick handle, and perhaps a remote for the shutter, rather than a button built in to the handle. So now that we've got that out of the way, here are some non-selfie ways that you can use a selfie stick. The obvious ways are to take photos from unique angles. The extension pole and the angles of the mount can give you the ability to shoot from way up high, or way down low. You can also get to hard to reach places. The usual caveat of camera shake applies here if you will be holding the pole with one hand extended: there will be a high possibility of blurred images. Make sure there is plenty of light while taking the photo so that the shutter doesn't get too slow. You'll want to limit the ISO speed as well. At these angles, how will you know what your framing looks like? With a smartphone, you will probably just shoot and hope for the best as you press the Bluetooth shutter. If you have a compact camera with Wi-Fi on the end of your pole, then you can use the remote viewfinder application in conjunction with your smartphone to frame and take your shot. Of course, this could be difficult with only two hands, so you should get anyone who's with you to either hold the pole or the smartphone. Otherwise, you could use the timer function to snap the pic while holding the pole as steady as possible. 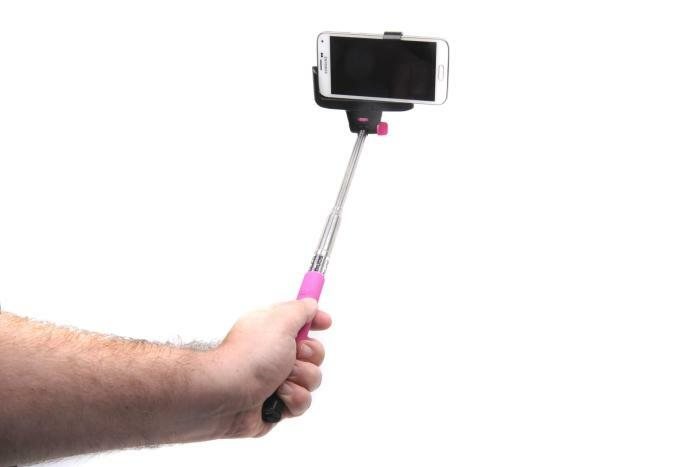 Selfie sticks have been banned from some arenas in different parts of the world, as well as local venues such as Sydney's Allphones Arena, for various reasons including safety and photography policies. If you do find yourself in a crowd, especially outdoors, a selfie stick is a good way to get your camera or smartphone up above a crowd to snap interesting angles of a stage or indeed the crowd itself. If you're at a park or in a garden, consider a selfie stick for low-down angles of pets or vegetation. You can get some cool shots while walking your dog, for example, or dramatic angles of plants and flowers without having to get on your stomach. Then there are the little ways you can use selfie sticks around the home. This may sound silly, but if you've ever had to plug something in to your amplifier and haven't been able to see where the ports are, you can use the selfie stick to angle your phone back there and get a photo of the layout. This will allow you to see where the appropriate ports are, and could save you from having to move things around or craning your neck just to plug in a new component. You'll have to use the flash in most cases, and ideally there will need to be a bit of space between the phone and the subject in order for the phone to properly focus. Likewise, any other spots around the home that are hard to reach could benefit from a selfie stick extension. Tradesman could also keep one handy to take photos of awkward spots while scoping out jobs if they don't have a ladder handy (or if they don't want to lie down on the ground). As you can see, there is more utility to the selfie stick than meets the eye, and a good selfie stick could end up coming handy in situations where you want to take pictures that are different from the norm. 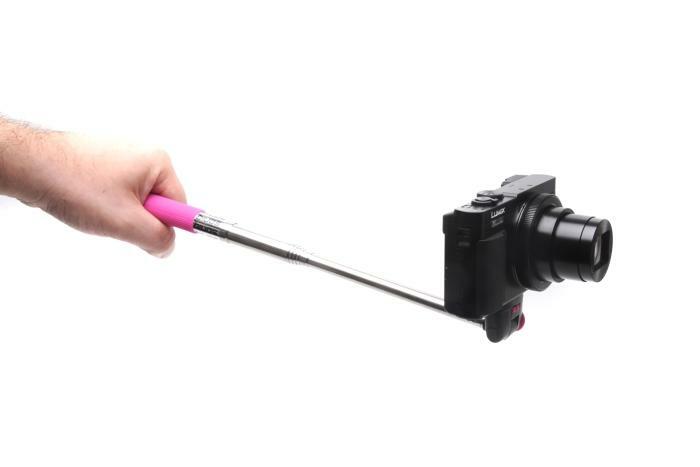 If you're considering getting a selfie stick, then definitely look for one that has a solid build quality.